Are there still squats in NYC? Gentrification is a shift in an urban community toward wealthier residents and/or businesses and increasing property values. That seems simple enough. And maybe not even bad. Crime rates go down, services increase. We want things to get better in the city, don’t we? Film maker and NYC activist Spike Lee calls part of this problem the “motherfucking Christopher Columbus syndrome” In a recent talk at Pratt, Lee said “You can’t discover this! We been here.” He told a story of how new residents had called the police on long time residents – including Lee’s father – who were playing drums, as they had been for 50 years. The police sided with the new affluent residents and stopped the music. But gentrification is far more than street jams getting shut down. In NYC it is the pointy edge of industrial capitalism. Real estate values in the city are so high that the economic incentives for landlords to harass, threaten and mistreat residents are hard to imagine. Especially residents who have rent controlled housing. 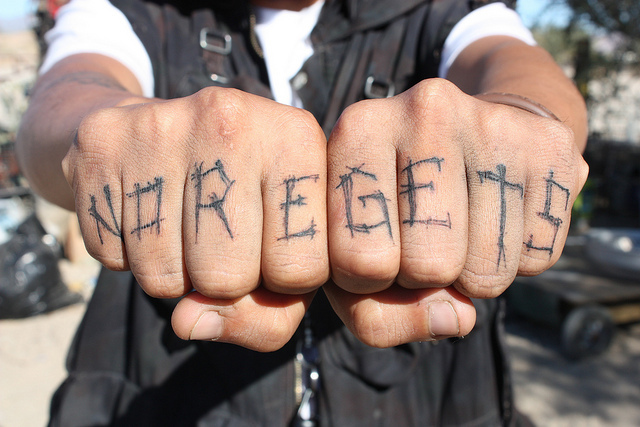 Gentrification pits rich against poor and the poor almost always lose and get displaced. New York City has changed a lot from the economic crisis it faced in the early 1970’s. At that time property owners unable to find tenants for their buildings and with taxes which were far outstripping rents simply walked away from buildings, especially in the lower east side of Manhattan. Abandoned urban buildings lead to squats. Squatters came in an fixed up these buildings and made them livable. They pushed back the police at first and often after they had improved the buildings the original landlord wanted them back. Some squatters were able to hold onto their work and ultimately gain control of these buildings. But the 1970s are long gone and real estate speculation in NYC is a very high stakes game now. Because of their potential value, owners now pay taxes on their unused and boarded up buildings. And the police and private security (aka thugs) are used to control these unused spaces and protect them from squatters. 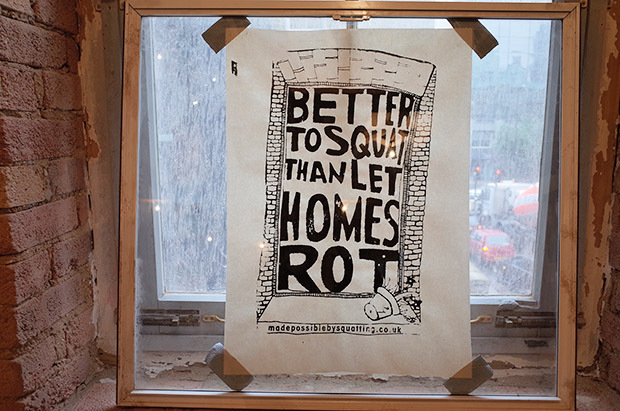 This lead a number of people to tell us that squatting was dead in NYC. Turns out it is not so. Traveler kids are still squatting in NYC. They are much more discreet about it than earlier generations of squatters who might graffiti the outside of buildings they control. One sign of this is that they are regularly getting busted by the police. Squatting is a high risk life style. One friend who does risk reduction work amongst traveler kids said she would introduce me to some of these folks on our next visit. Stay tuned. don’t build a house on it.